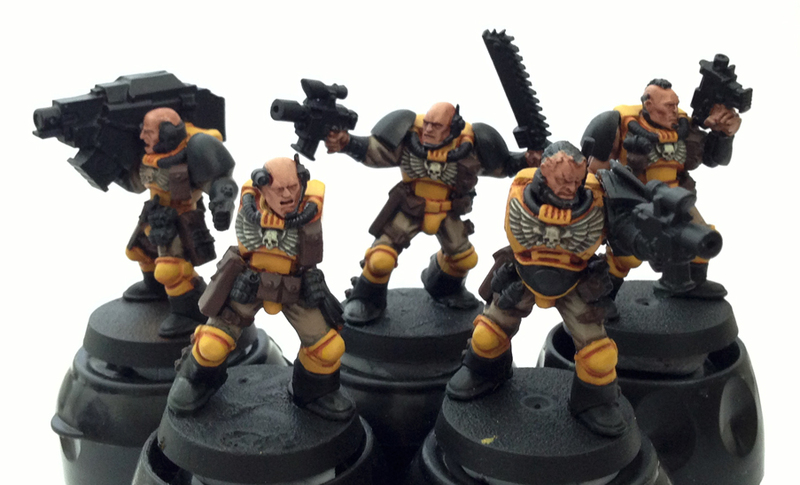 Scythes of the Emperor Scouts, the retro squad, progress continues on the squad, now we have a shoulder mounted heavy bolter, a mohawk wearing scout (nod to tradition) and the up armored veteran sargent leading them. Now to detailing and highlighting them all! They’re all bald! You seem to have quite the collection of old models. Will these guys be getting painted to have close cropped hair?